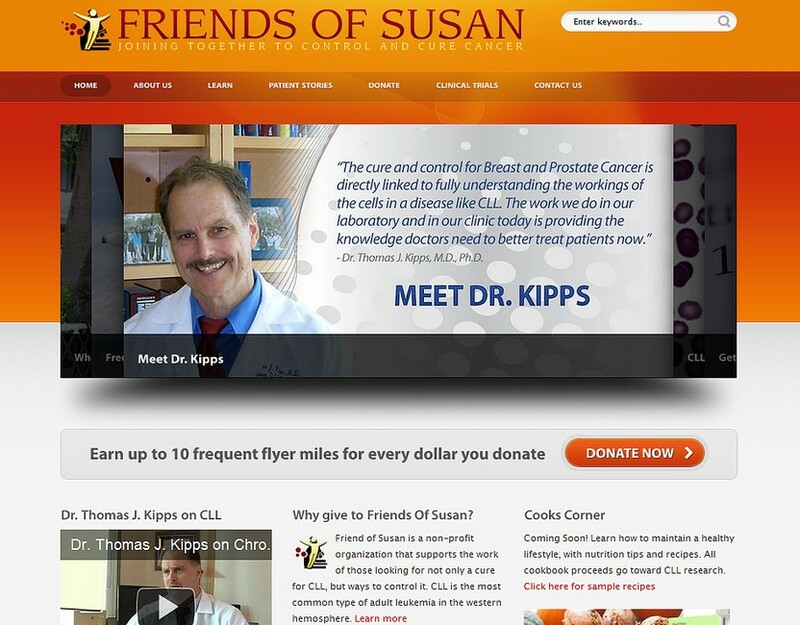 Friends Of Susan is a Cancer Research Fund that needed a website to collect donations and inform the public about Chronic Lymphocytic Leukemia. 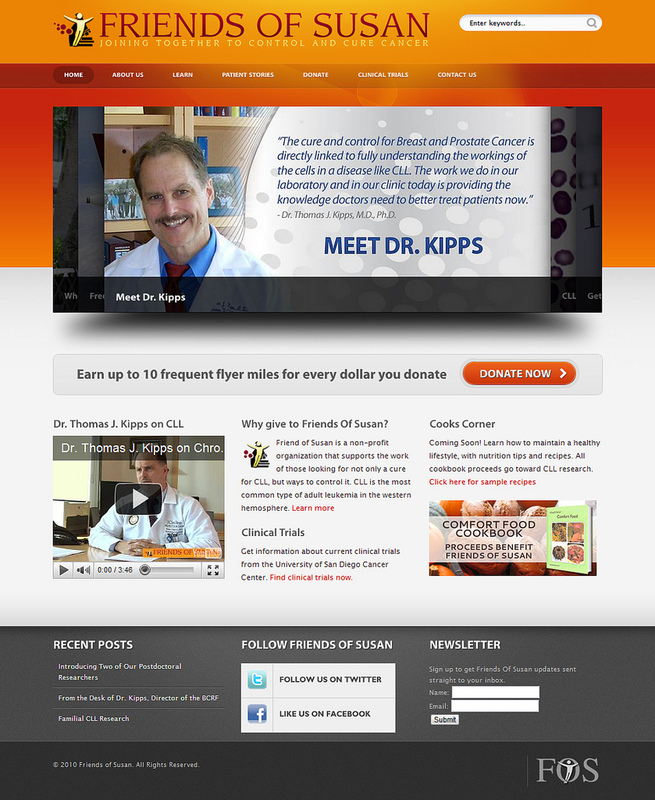 We designed a new logo for the organization, and built them a website using WordPress so that they could update the content themselves. Donations are accepted through PayPal and donators are able to collect American Airlines Frequent Flyer Miles.